Hello, my name is Julia and I am 24 years old, Finnish, female and definitely an introvert. I am looking for snail mail pen pals; not instant messaging or e-mail. I don’t want to share any of my social media accounts. I think that would ruin the idea of snail mailing, being able to see and hear every day what the other person is doing. I also want to introduce myself and get to know you through letters, not some random Facebook posts. I admit it sometimes takes a long time to answer, but I prefer to write good, long letters over hasty little messages and sometimes it takes time before I find the right mood for writing. I know everyone says this, but I am the kind of person you can tell about anything – I myself tend to be quite open about my life and thoughts, often skipping the small talk. I honestly would love to hear about your everyday life too, not just the most exciting parts. Your life is most likely very different from mine and even those things you think are mundane may interest me. It would also be nice to send and receive some little packages every now and then if you want to – photos, little snacks from your country, things like that. and I can’t find clothes I’m looking for from my wardrobe because almost all my clothes are black. Time flies by with books, arts, video games, horror/scifi movies, period dramas, daydreaming, long walks with dogs, drinking with a friend or two in our favourite bar, and planning new adventures. I love to travel, although I have not been outside of Europe yet – there’s so much to see in here, too. I love mountains, wilderness and the nature of the north. I respect nature more than anything and find solace in the wild. I am not the kind of person to spend my trips laying on a sunny beach under a palm tree or partying in big cities – I prefer long hikes, husky rides, exploring caves, visiting historical sites and such. My last trip was a solotrip to Svalbard. I have spent all my life wondering what I want to do when I grow up and some time ago I finally figured it out. I want to be an astronomer, so hopefully, if everything works out, I will be studying physics in university around 2018. I’m currently taking some classes while working. I am not religious at all. After growing up in a Christian community I have some strong opinions about the matter, but I’m not going to talk about those now because I am not here trying to offend people. I’m only mentioning this because if you are highly religious, you most likely don’t want anything to do with me. I am, however, interested in mythologies and paganism. As much as I would love to write with the eloquence of Jane Austen, English is not my first language, so pardon my mistakes. But if you are interested, send me an e-mail preferably with some information about you (I won’t answer if I have no idea what kind of person you are) and perhaps I’ll send you my home address, or you can send yours. 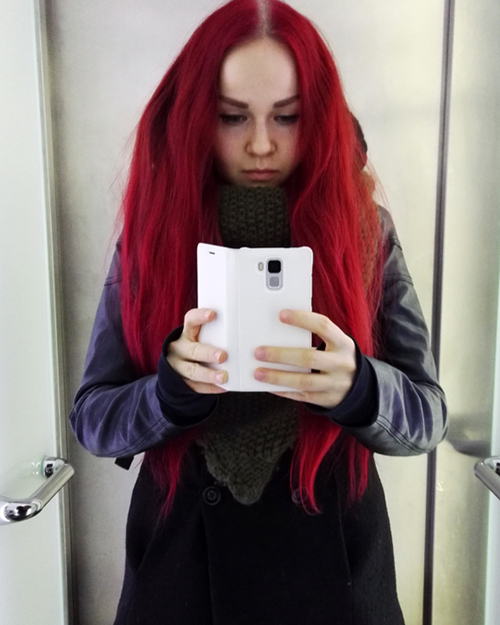 I don’t care about your gender, and if you don’t want to send a photo of you I don’t really need it – mine is just a poor elevator selfie from few years ago, after all. Plus, I am interested in your mind, not your looks.